She's Fantastic: DC Multiverse - GREEN LANTERN JESSICA CRUZ! 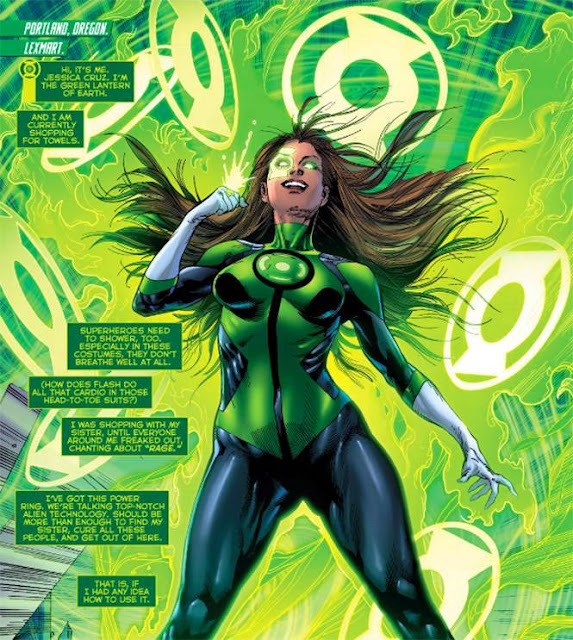 Jessica Cruz comes with a lantern and several green energy pieces that wind around her limbs. I wish there were some images of her wearing these accessories on the packaging to give some clue as to their intended placement. Jessica also comes with two leg pieces for the Clayface Build-a-Figure. So I made a simple repaint of Jessica's Right eye. The eye and the lantern logo around it seem shrunken-down in order to make room for the stamping machine between her hair and nose. I widened the green logo and enlarged her eye. All pictures past this point will be the customized one. 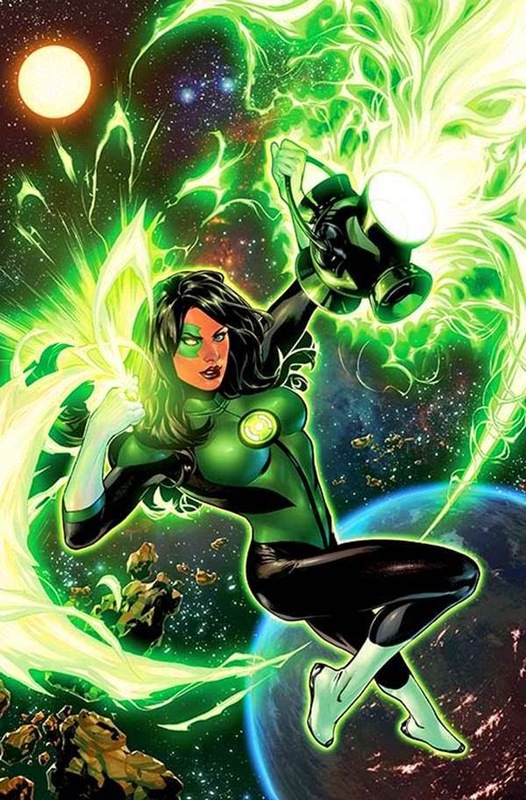 Here is Jessica Cruz with the 2009 DC Universe Classics Katma Tui. The Mattel DC bodies have improved greatly. Here she is with her wave-mate, Batwoman. And here is my collection of Green Lantern ladies. From Left to Right: Jade, Katma Tui, Arisia, Jessica Cruz, Boodikka, and Soranik Natu (I forgot to include Fatality).